The last time legendary the Memphis emcee La Chat was in Brooklyn had the chance sit down with her for this interview. 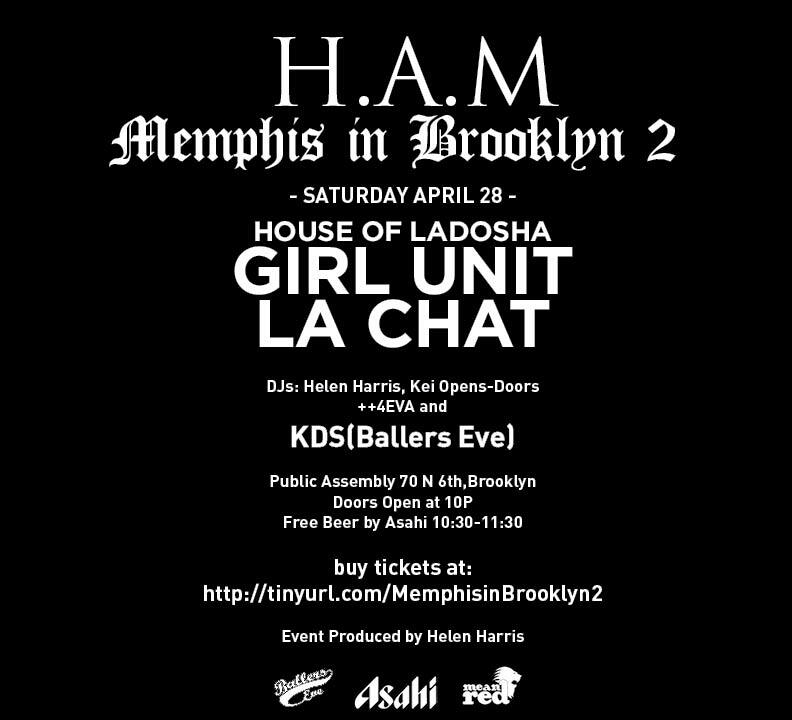 This coming Saturday, April 28, La Chat will return to Brooklyn for a performance at Public Assembly for H.A.M., the best southern rap party in Brooklyn. If that isn’t enough to get you out of your house, House of LaDosha will also be performing, and GIRL UNIT will be DJing. It’s guaranteed to be a totally epic evening, so if you’re in NYC make sure to buy your tickets now. Which Chiraq, Drillinois Lady Hitta has the Better 2012 Anthem?